Back in 1773 there was a buzz at the Royal Gardens of Kew, situated just outside of London. The Director, Sir Joseph Banks was about to introduce a new flower to the collection and he had named it after the Queen of the time. Queen Charlotte was the Duchess of Mecklenburg-Strelitz so this exotic new addition was called Strelitzua reginae in her honor. To the inhabitants of eighteenth century England the flower, then, represented the epitome of courtly glamour and its appearance was key to its instant success. 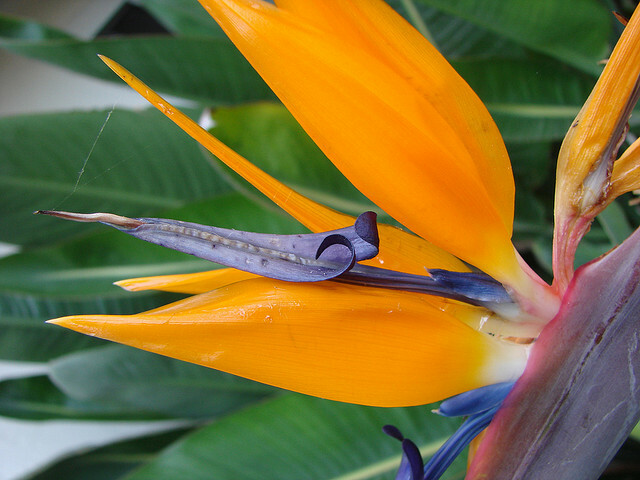 However, it was to become best known by its common name – the bird-of-paradise flower. It is easy to see why.